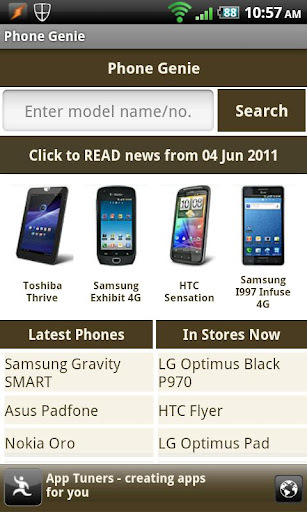 Phone Genie brings you the biggest database of mobile phones that have been available in over the last 15 years. It unleashes the power of GSMArena.com on to your cell phones and tablets, with a user interface that will adapt to whichever screen size your device has. GSM Arena needs no lengthy introduction. 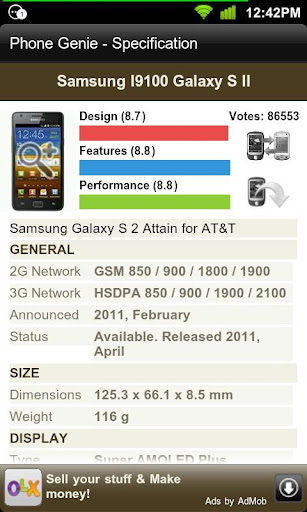 It is like the IMDb or Wikipedia of mobile phones. 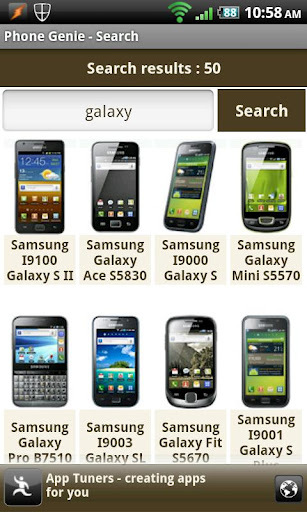 GSMArena.com maintains a detailed database of almost all phones and tablets (not restricted to GSM devices, despite the name) and is your number one source for specification or spec lookup on any mobile device. The biggest advantage of Phone Genie is that, it allows you to compare the features of 2 phones / tablets side by side, and decide which device is more suitable for you.